while this picture came in my mind. 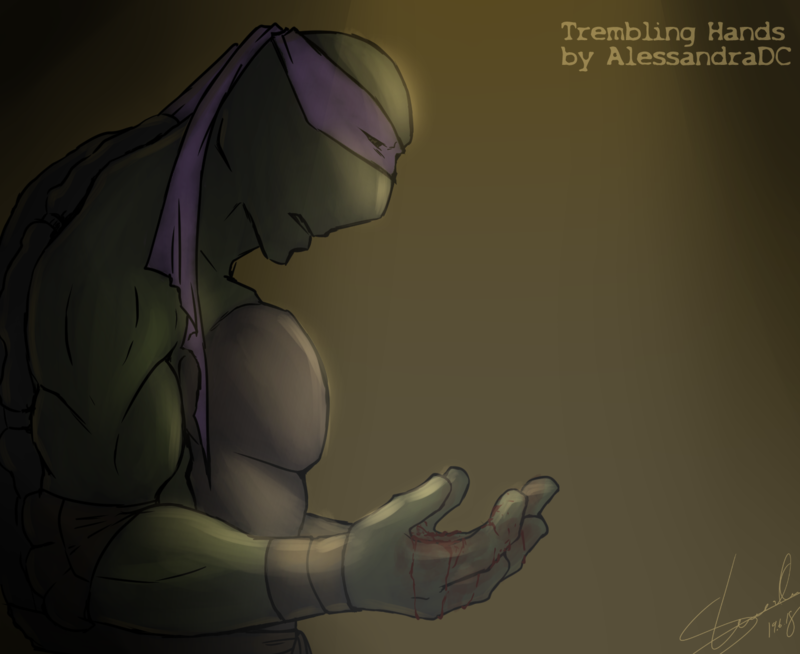 Art inspired by Trembling Hands from AlessandraDC! I want to cry and hug him!! I love that piece by Alessa and you more than did it justice with this picture. What heavy burdens Donatello carries in those hands.